This article is aimed towards Australians who need a visa for Vietnam. Australians are just like everyone else. While their home country is gorgeous, Australians still feel the need to travel and explore the world. Many would love to visit Vietnam at least once. The unfortunate truth is that Australians will face some rigorous regulations when attempting to visit this country. Before they can enter the country, they’re going to need to acquire a visa. To do that, they’ll need to complete two steps. Both can be frustrating and time consuming. Thankfully, it may be possible to bypass the hurdles. If you are not an Australian citizen then you should check the requirements for your native country. First and foremost, you should figure out precisely what you need to do to acquire your Vietnam visa. There are actually two paths that you can follow. In addition to getting a visa at a consulate or an embassy, as of 1996, it has been possible for Australian tourists to pick up a visa at any Vietnam international airport. While this might seem easy, it is far more difficult than more could ever imagine. At the same time, it is very risky. After all, you do not want to arrive in Vietnam only to be turned away. Therefore, it is generally best to obtain approval online in advance. You can do so by completing the quick application here! If you’re intent on getting your Vietnamese visa when you arrive, you’ll want to make sure that your passport is still valid. In fact, it needs to be valid for at least six months starting from the date of your arrival in Vietnam. You also need to make sure that the passport has enough pages for the new stamp. The Australian Vietnam visa on arrival is only available to tourists who will arrive in Vietnam via an airplane. If you’re going to be arriving by boat, you will need to get the document in advance. Otherwise, you may be turned away. To obtain a Vietnam visa for Australian tourists, it is pertinent to follow a few basic steps. Remember that these steps pertain only to Australian tourists who are attempting to get their visa on arrival. They may be valid for others, but it is best to check the requirements for your specific nationality before moving forward. First and foremost, you should visit this website. Here, you will be able to apply online. Once your application has been accepted, you will receive a Visa Approval letter. With this document, you will finally be able to enter Vietnam. After you’ve arrived at one of Vietnam’s International Airports, you will need to get your passport stamped. 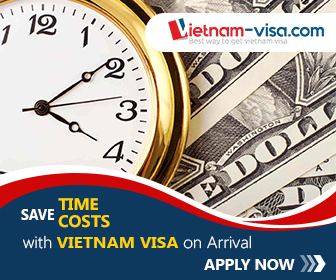 You can get the Visa Stamp at the Ha Noi, Da Nang, Nha Trang, and Ho Chi Minh City airport. When you’re completing the quick and easy Vietnam visa application online here, you’ll need to make sure that you provide the agency with the appropriate information. For starters, you need to make sure that you give the correct name. This might seem simple, but you need to ensure that name given is the exact name on your passport. Some people may shorten their name for other purposes. When getting your visa, the name needs to be identical to the one on your passport. You’ll also need your date of birth. The date should be formatted as DD/MM/YY. Even a small mistake here could result in your visa application being delayed. You’ll also need to provide your passport nationality, passport number and date of arrival. Remember that there is assistance out there and you should not hesitate to take full advantage of it. It is also pertinent to make sure that the Vietnam visa agency has current passport photographs of you. It is possible to provide these photographs at the airport, but you can also submit them online using a secure online form. If you’re having difficulty uploading the photos, you should get assistance from this agency. Make sure that the photographs are clear and not blurry. Obviously, you will not be able to acquire a visa for free. The good news is that the fees are pretty affordable. Most Australians will have little to no trouble paying the small fees. You can use pretty much any major credit card. The agency will complete the transaction using a secure platform to ensure that your private information is protected from start to finish. You may also be able to pay for the visa using Western Union. The credit card method is preferred by most, since it tends to be quicker and it is usually failproof. Once the payment has been finalized and confirmed, you will receive the Visa approval letter. It will be delivered directly to your inbox. At the end of the day, everyone wants quick visas. They do not want to sit around and wait weeks to obtain the document that they need. You’re likely no different. The good news is that it doesn’t take that long to obtain a Vietnam visa. Just remember that you need to use this service to ensure that you get the document as quickly as humanly possible. Otherwise, you might be waiting far too long. After you’ve completed the application and have submitted it, you shouldn’t have to wait more than 48 hours for it to be processed. When the application is approved, you’ll receive the approval letter in your inbox. You just need to print it out and take it with you. Be sure to show it to the attendant at the Vietnamese airport. They’ll place the visa stamp on your passport. You’re now free to explore the wonderful country of Vietnam.